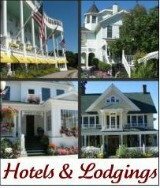 Looking for a Mackinac Island Realtor to help you find your Mackinac Island real estate dream vacation home? 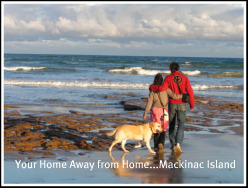 When investing in Mackinac Island Real Estate you are buying a way of life, not just an actual lot, house or condo. So, get ready to slow your pace of living and enjoy being outdoors in beautiful northern Michigan where the lake waters sparkle all around and blue skies abound. 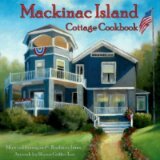 Your Real Estate agent will help you make a good decision about which home, condo or lot is most suited for your dream life-style on this magical place in the fabulous Straits of Mackinac in beautiful and remote northern Michigan. 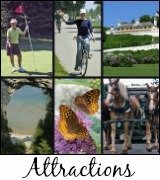 Buying Mackinac Island real estate is to enjoy a life that is full of good core values, with a more relaxing lifestyle in a quaint small community of 523 year round residents. This core community as well as the active summer residents will embrace you when you return each spring, summer, fall or even when you come for a short visit during the Holidays to your home away from home. Your Realtor holds the “key” to your dream home. So, read the following 5 Tips to make sure you make a good choice in choosing Your Mackinac Island Realtor! In today’s real estate market it is the utmost importance to make a good real estate decision. If you are needing a mortgage, an experienced Realtor is very important. Even if you don't need a mortgage, you still want a Realtor who will help you make a good Mackinac Island or any northern Michigan real estate decision in choosing a proper fit for your investment portfolio. Click here to read about Murrays Mackinac Realty! Your Mackinac Island Realtor holds the "key" in finding the perfect house, condo or lot on Mackinac Island or in a nearby northern Michigan community for you and your family. Read these 5 great tips from Kathy who was a successful Washington DC Realtor (was in the top 25% of all U.S. Realtors in Sales) for over 25 years before retiring to northern Michigan. 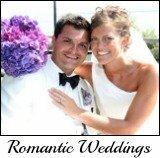 Feel free to click on our Contact Us button to ask her any questions. Do You Have An Additional Tip? Insider Tip If you aren't quite sure about buying Mackinac Island real estate right now. 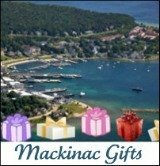 You might want to find a Mackinac Island Realtor in looking for a rental home or condo for a season or two.